Gladiatorial combat in the arena was an essential part of the Roman world. In the early days these events were ritualistic religious ceremonies but the powerful elite quickly discovered how to profit from their popularity and eventualy how to use them as a tool for political gain. An entire economic system and culture rose up around the gliadiators and their masters. Key to this system was the gladiator’s lanista. Much more than his owner and operator of the ludus, the gladiator school: the lanista sought power, wealth and admiration from his contemporaries. His glatiators were his most important asset, his famillia; every aspect of their lives was in his band. He worked endlessly to make his famillia the favourite of the crowd so that their name might be renowned throughout the empire. Perhaps to one day fight in the holy place of gladatorial exhibitions: the Coliseum. 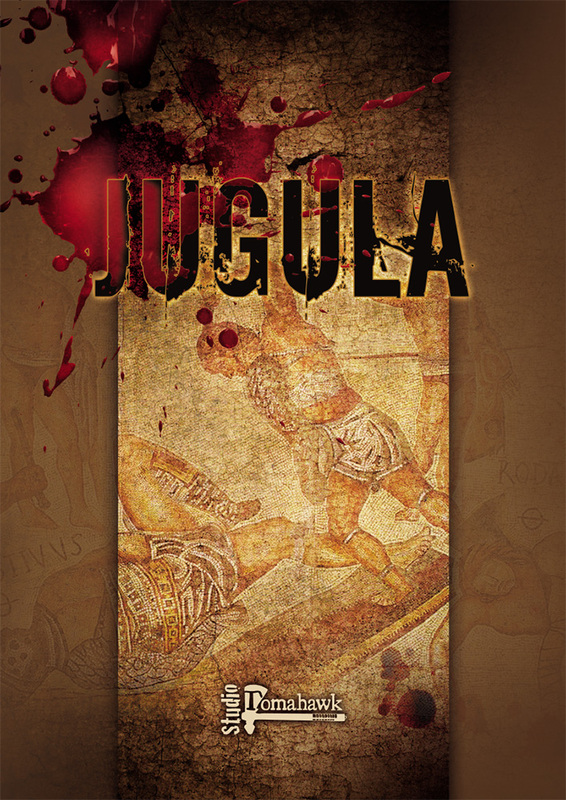 In Jugula, you take on the role of a lanista, and manage your famillia of gladiators to fortune and fame. 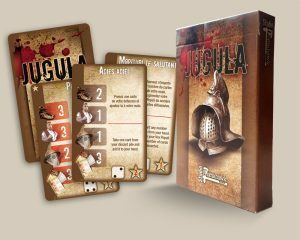 You only need four figures per player; making Jugula an easy game to jump into for unfamiliar with miniature wargaming. 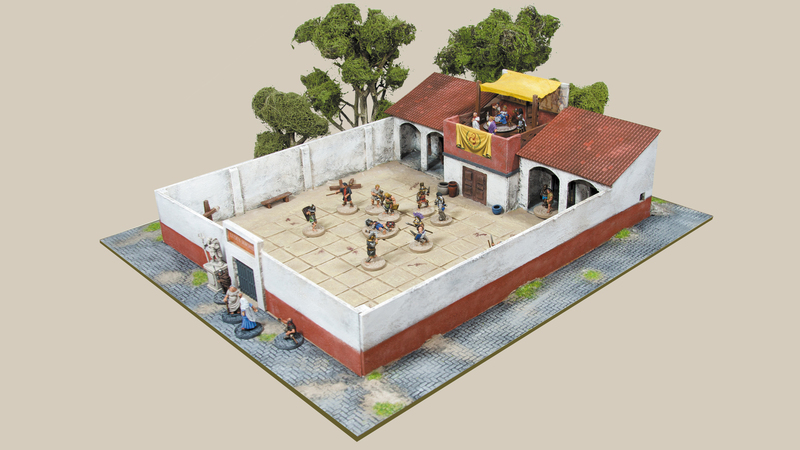 Up to 4 players can play simultaneously.Each player brings his own set of miniatures and a deck of cards (sold separately) representing his famillia in the arena. 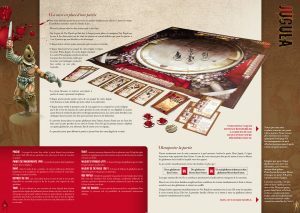 The deck of Jugula cards provide timing and pace to the game as each lanista influences the fight in the arena, represented by a board included in the game. Also in Jugula you can manage the ludus over several seasons. Each game becomes part of a tale that builds the history and reputation of your gladoator school. 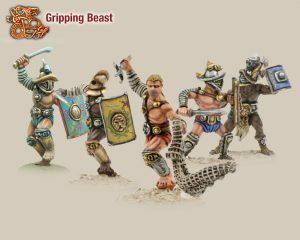 The lanista’s guiding hand over time demonstrates not only his cunning in the arena but also his ability to manage the entire gladiatorial system of ancient Rome. The lanista and ludus are intricately linked as they ultimately create the heart and soul of the famillia with its moments of glory as well as its trials and tribulations. 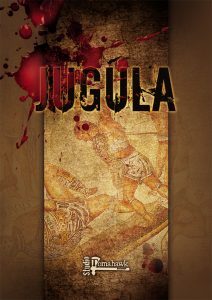 The Jugula rulebook presents all the rules to fight in the arena and to manage your career as lanista. A poster included in the game offers the gaming surface representing the arena. 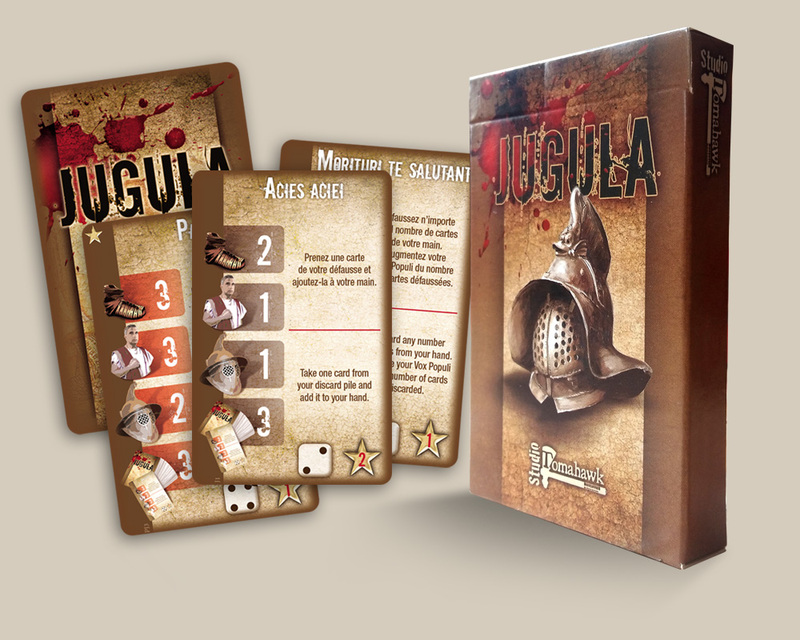 Each player will also need his own deck of Jugula cards (sold separately). Here you will find all the downloads that the studio offers for your favorite game.